Flowers have long held an important place in society. 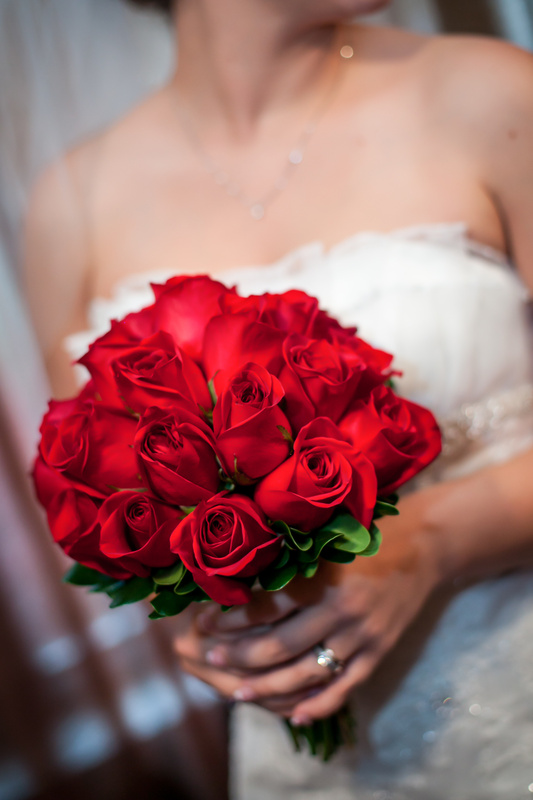 Throughout history, flowers have been used to symbolize important events, feelings or thoughts. Those traditions have continued today, and the wise flower giver will have a working knowledge of the history and symbolism. Herbs and flowers have been used for specific purposes since the beginning of time. Biblical accounts refer to the use of flowers and herbs when speaking to one’s beloved (Song of Solomon 5:3, “His cheeks are like beds of spice yielding perfume. His lips are like lilies dripping with myrrh.”) During the Renaissance, herbs were believed to have magical healing powers. The Victorian Era launched a time when gardens were considered a part of a properly done home, and the sentiments of a lover could be expressed without a word by a well-placed flower. 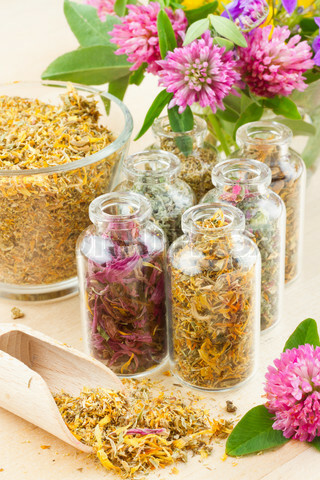 Customs from these early uses of flowers and herbs are still in effect for today – often without a thought to how the ritual began. 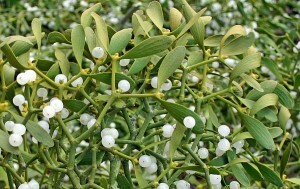 According to legend, mistletoe was considered to be a sign of male essence – and so by extension, romance and fertility. Mistletoe is to be cut at the peak of its season, and may not touch the ground at any point or else risk losing its magical properties. 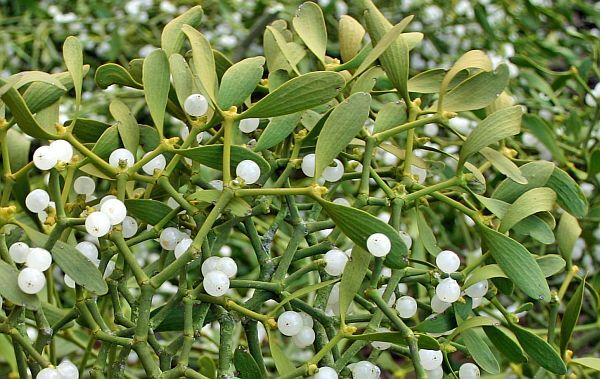 To truly maximize the power of the plant, the mistletoe should be hung in the house at the beginning of the Christmas season, and remain until the following year. This allows the house to be protected from lightning strikes or storms. While the mistletoe is hanging, the male essence works upon the females who may enter the home – drawing them to the herb. This romance worker compels the two to kiss. Scandinavian custom has the gentleman removing a berry after each kiss; when the berries are gone, the kissing power of the mistletoe has waned. Centuries later, mistletoe – often formed into “Kissing Balls” has become a symbol of romance and love during the winter season, and is sometimes included in winter flower arrangements to signal a desire for love. Part of the ‘coming of age’ rituals of modern society is the attendance at a formal dance, typically during the latter years of high school or college. The exchange of flowers between the couple has become mainly a dictation of fashion – matching the ribbons and flowers to the woman’s dress, which is also matched to the tie/cummerbund of the gentleman. This tradition, however, has a long history that dates back to the Middle Ages. A knight would wear the colours of his esteemed lady as a sign that he was fighting for her honour. A maiden would often provide her favoured knight with a hair ribbon or a handkerchief that would represent her, and her knight would tie the fabric at the end of his spear, or wear it upon his person. Many times, onlookers would be ignorant of who the woman was, and would simply understand that the knight had been “spoken for” but would not identify the woman out of a sense of propriety. While we have moved beyond the time of knights and damsels, the custom of pinning a boutonnière on a gentleman is a continuation of this sweet tradition. The gentleman proudly displays the ‘colours’ of his chosen lady as a sign that his attentions have been claimed. Brides carry elaborate bouquets of flowers to the altar during a wedding procession in modern times. The collection of flowers can be an important focal point of the bridal look, and often reflects the theme of the entire day. A more rustic wedding may feature flowers wrapped with burlap, while a modern wedding may be a simple grouping of calla lilies tied with satin ribbon. No matter what the style of wedding, the flowers are another way to add beauty and individuality to the day. This custom began as a way to symbolize wishes for the new marriage. Early brides carried orange blossoms to symbolize fertility and wheat sheaves as a wish for prosperity. Dill was a popular herb that was included in the bouquets and was eaten after the ceremony as a natural aphrodisiac. Early Roman weddings would use a torch to light the first fire in a newly-wed’s home, and the torch was then tossed out to the wedding party. The French, ever sensibly, replaced the torch tossing with a floral bouquet and began the tradition of promising that whoever caught the flowers would be the next to marry. 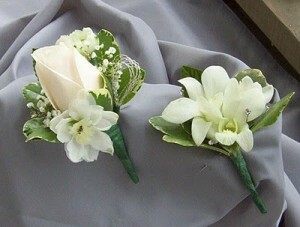 Many times, a woman or young girl will tuck a beautiful flower into her hair as an accessory. This custom has special meaning on the island of Hawaii, where the placement of the flower can send specific signals about her marital status. If a woman places a flower on the right side of her head, near the ear, it is a sign that she is single. Wearing a flower on the left side of the head, or near the top of the head is a sign that a woman is married, or otherwise unavailable. 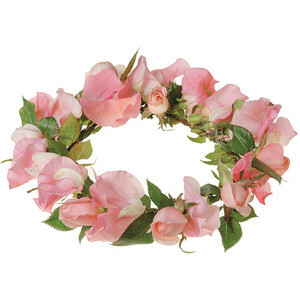 A person who wears a wreath of flowers in their hair may be referred to as a ‘flower child’ – a reference to a movement that occurred during the late 1960’s. The phrase became synonymous with ‘hippie’ and is typically used to describe someone who is an advocate for peace, and is typically a counter-culture movement. The flowers became a symbol for peace and were worn by protesters who just wanted everyone to ‘get along’. Knowing the symbolism of flowers can be a fun and interesting way to speak the language of flowers. While we no longer have knights to storm the castle walls, and eating dill at a wedding reception would cause questions, there are ways you could slip these floral customs into your activities that would give a nod to the heritage of flower-talkers in the past. Selecting a special ribbon for your groom to wear in his boutonnière would speak volumes of his place as your knight in shining armour. A cheese and pickle tray at the head table would not seem unusual, and you can smile to yourself as you select a few dill pickles as a snack.